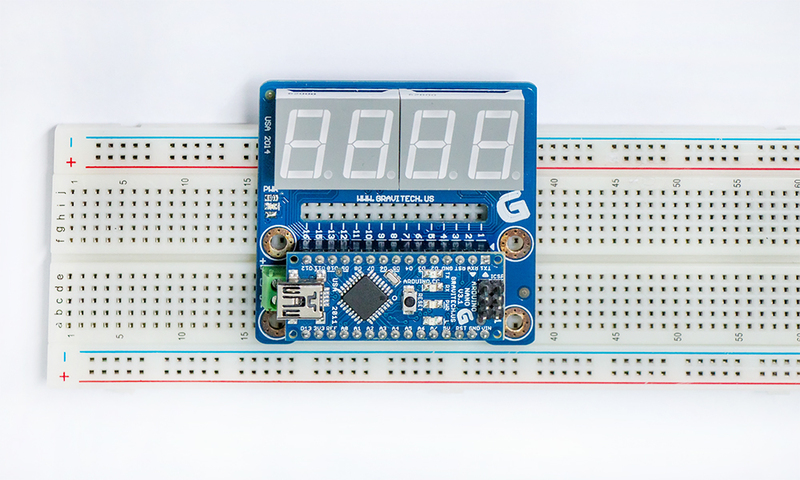 This is a 7 Segment Display add-on module for Arduino Nano. The module can display up to four digits numbers and characters. 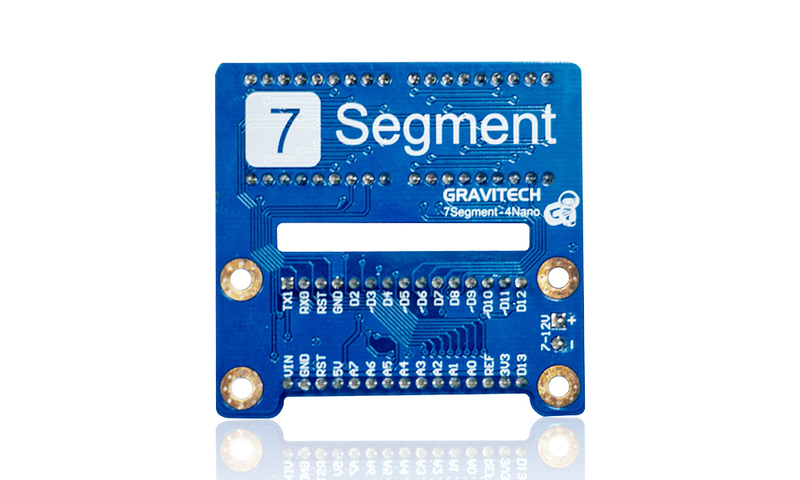 The 7SEGMENT-4NANO connects to the Arduino NANO using female long wire-wrap headers which extend through the board for the breadboard connections. This keeps the pin layout intact and allows another add-on module to be attached. For example, the 7SEGMENT-4NANO can be used to stack on the Capacitive Touch Key Keypad for Arduino Nano (P/N TOUCH-4NANO) to display the numbers being input by the keypad. 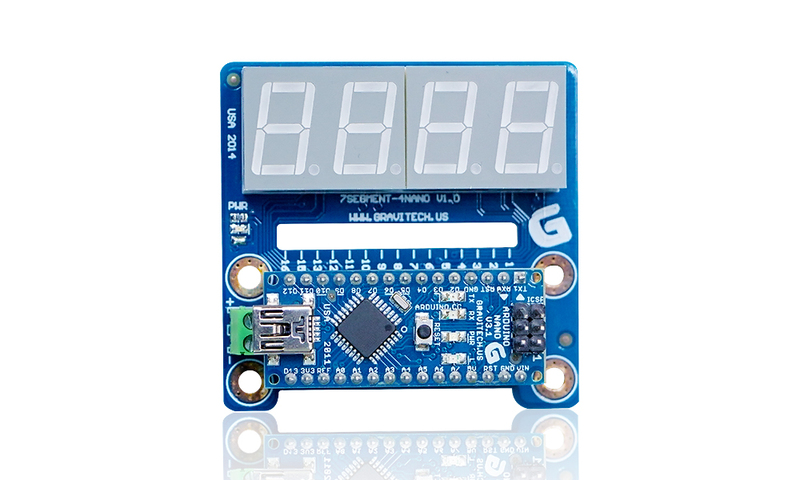 This is suitable for any projects that requires an output display or simply use for display debug message.